To organise regular Project Management consortium meetings and ensure timely interactions with the representatives of the end user focus group. 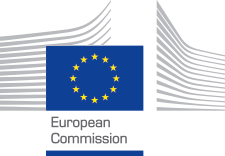 WP2 aims to investigate the state of the art of Non Cognitive (NC) skills within the most relevant European and Global skills frameworks, classifications and models to provide a sound basis for the tools and system of the project. The WP will analyse the classifications, with ESCO as main reference, to proceed to a formal definition of the NC Skills set as well as determining their evaluation and measurement methods under the perspective of the most applicable to online systems according to the practice in labour market and HR discipline. This WP is aimed at analysing and defining how to provide individualised learning roadmaps to users according to their skills profile and their expectations on occupations. The module will study how individuals could map and certify the NC skills if acquired in non-formal/informal learning environments or with direct interaction with the user even before any course or totally unrelated to courses (e.g. using questionnaires, games, or any other mechanism). We need to identify the starting level of NC skills of users to recommend them the most valuable courses to develop their weak points in NC Skills to address a target occupation. Since this kind of information is key to refine the outputs of the recommender system the availability of APIs to facilitate the access to the user information will be taking into account. Overall, the module exploits and integrates the outcome from WP2 and WP3 in order to define the Skills Match domain, that is to say, the methods to adopt in relation to the technology feasibility (Wp5), to the final set of NC skills and occupation (wp3) as well as the evaluation module on which base the NC Skills profile is created and progressively updated in Skills Match system. WP5 aims to gather end-users requirements and refine them as part of the agile process, define software architecture and specifications and to develop the technology needed for the project to achieve its mission. The general approach is to utilise an agile methodology (SCRUM) in developing the architecture since this allows for frequent requirement changes and end-user influence which we see as central and of utmost importance for success. The elicitation of requirements and development of needed software will be done in iterations where the end-user will be given the opportunity through focus groups to influence the software as it evolves over time. Stimulate a social change regarding NC skills consideration and approach by reaching out to as many potential users of the project results and involve them in the project generated activities. Prepare the ground for the sustainability and further exploitation of the results beyond the project lifetime. This WP will plan and implement in a coordinated way the Communication Strategy aimed provide practical advice for all consortium partners on how to promote the project, disseminate project information and engage with stakeholders.